Spotted this on Pinterest today and had to share it with you all. This is such an interesting and unique way to style the bedside table. Vintage photographs, books and wooden boxes.....sigh all the things that are close to my heart. It looks so appealing and seems to tell a lovely story! So what do you think of this tabletop display? How pretty! 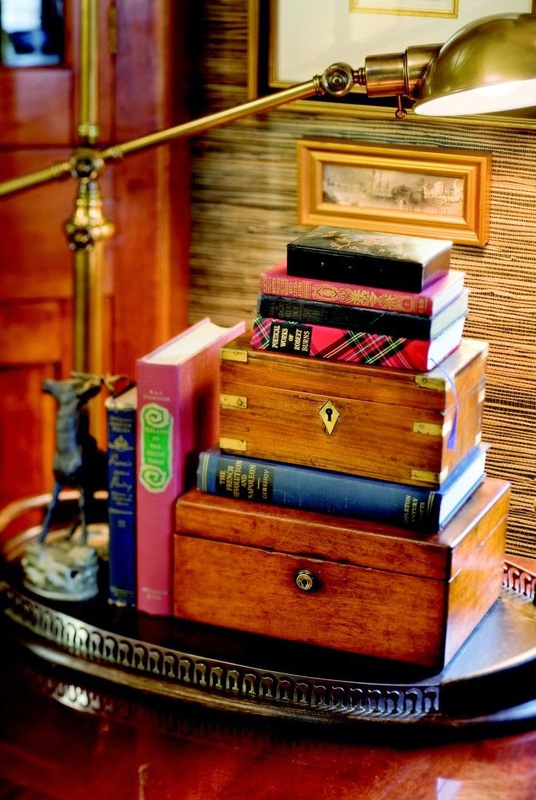 I like the way that the wooden box is combined with the books. What a great idea. I really like it! I wish I had room for a bigger bedside table. Actually I have wanted to replace our bedroom furniture and do mismatched bedside tables. Love that look.